We spent much of this week searching out trailheads and routes along the Climate Run route through Þhingvellir National Park and farther south to the Atlantic coast. 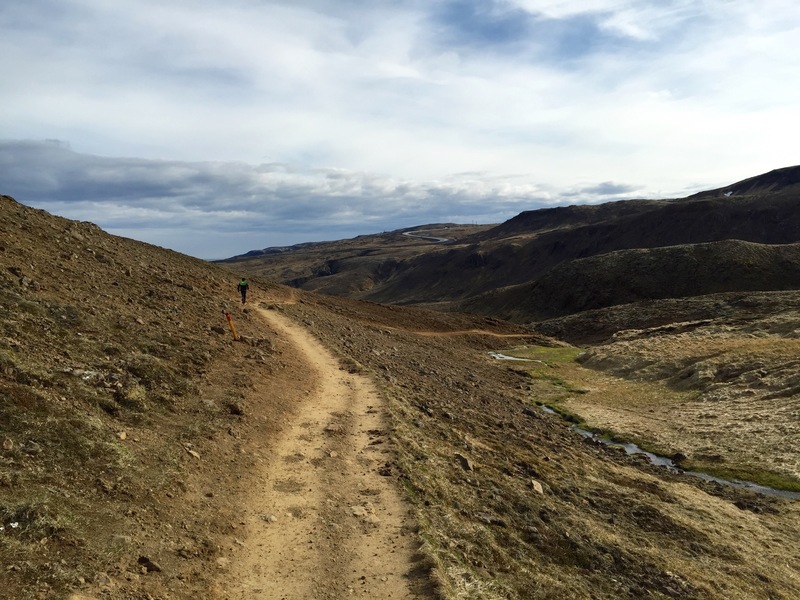 Over the past few weeks, it has become increasingly clear that the Kjölur Road across which I had originally planned to run remains too snowy for a successful trans-Iceland run. With the help of some contacts here in Iceland as well as a fair bit of patient trail-finding with Orion, I’ve mapped a revised route. The start and end points and distance are all more or less the same. The major difference is that I will be arcing to the west of the Langjökull icecap rather than to its east. This decreases a little elevation gain in the highlands and minimizes encounters with too much snow. It must be so exhilarating to be there! And to have Orion with you…wow! I hope he’s enjoying it, and I’m sure this be an inspiring and forming experience for him.